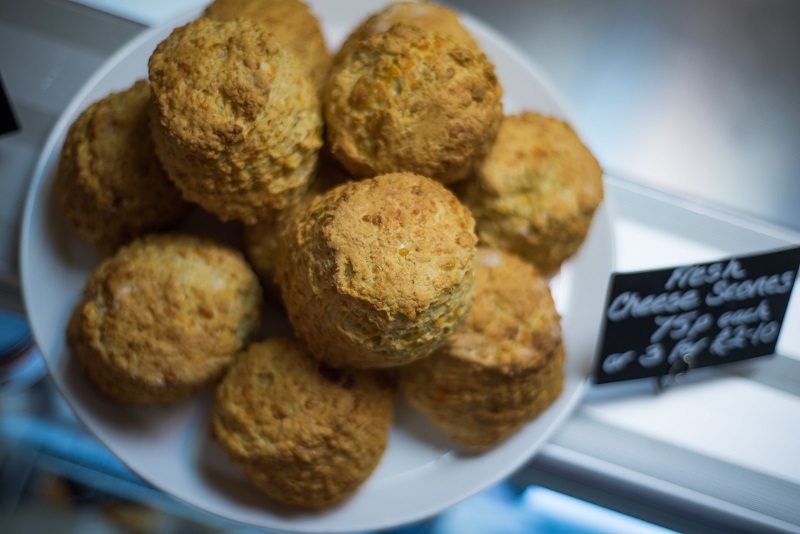 Freshly baked each morning (except Sundays, everyone needs a rest from the oven now and then!) 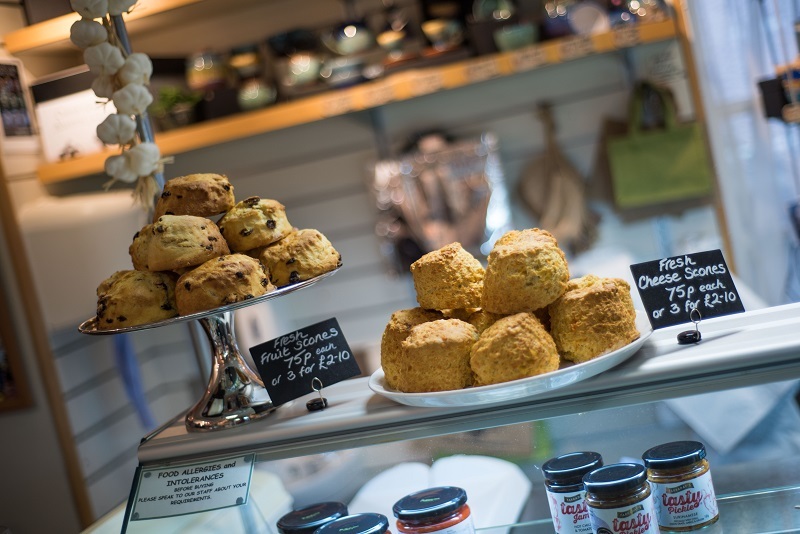 our delicious cheese or fruit scones, have quite a reputation around town! Best to come early, to avoid disappointment, or you can always give us a call and pre-order. Why not try a chunk of our delicious sticky gingerbread cake? It’s so light and gingery; a definite winner! 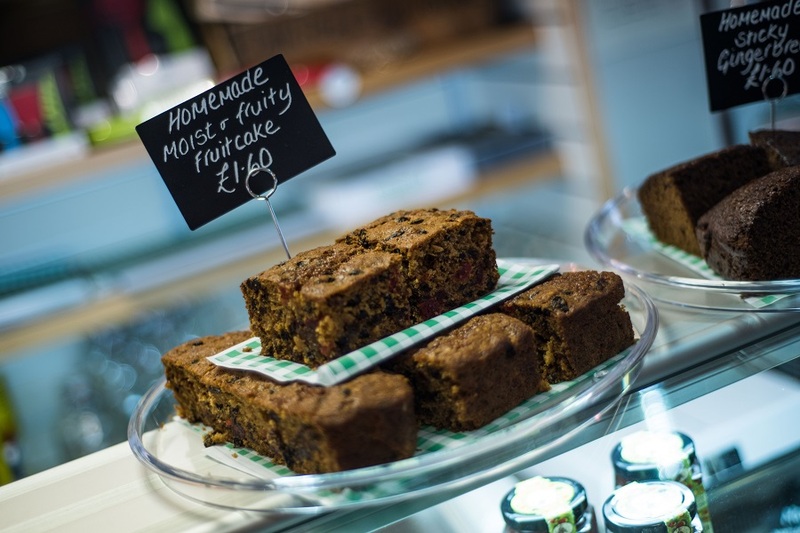 Or maybe you’d prefer some of our super moist fruit cake; packed full of mixed fruits – definitely one of your five a day! We also have parkin, baked using our traditional family recipe. With its crumbly texture, undertones of ginger, treacle and memories of childhood, it’s a definite winner! Our nutty date slice, syrup or treacle flapjack, or shortbread biscuits, are very popular with customers that enjoy walking on the fells. Don’t feel that you have to walk up a mountain, to try them though! We make a range of quiches, which you can buy fresh on the day of baking, or we have a supply in the freezer, which don’t take long to defrost. Choose from goats’ cheese, spinach and pine nuts, mixed peppers with sun-dried tomatoes, or bacon and tomato – simply delicious; you’ll be spoiled for choice! 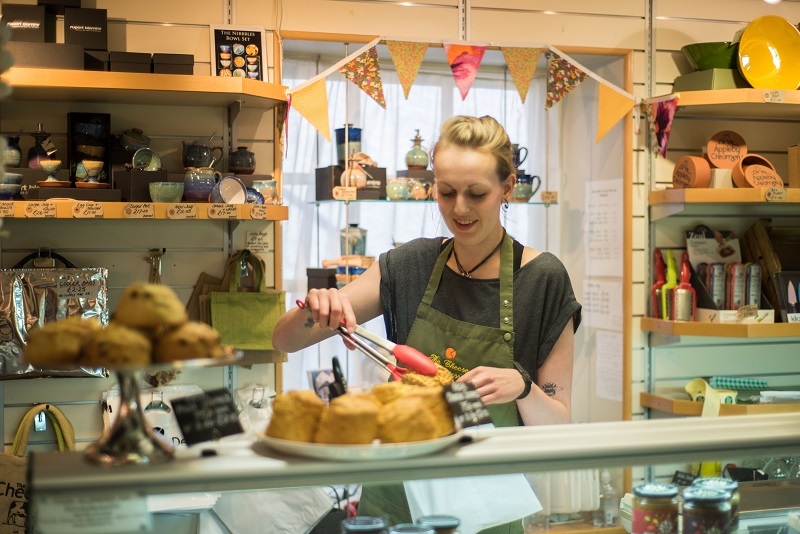 Christmas is always busy in the deli, that’s why we start in the summer months, by making our own Christmas cakes. This makes sure they have plenty of time to mature. They are packed full of fruit and spices and most importantly – oodles of brandy!